Carstens, Tönnishof, W. Germany. 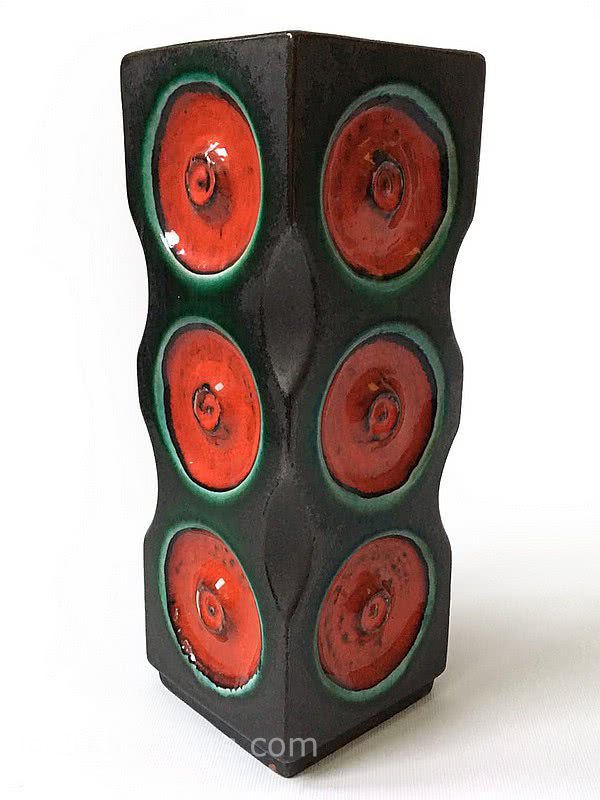 Fat Lava, Op Art Vase, shape B103-26. C1970s. A lovely rare space age piece in great colours. We are happy to help you find the item you are looking for but sorry, we do not provide valuations.